One of the jobs I do at IBC is produce the awards ceremony, and this year that meant I got to meet some really nice people. We gave one of the major awards to NASA, and Carlos Fontanot, the head of imagery on the International Space Station and Kelly O Humphries from the news department at Johnson Space Center in Houston (and former voice of mission control) came over. We had a wonderful dinner, with their charming and clever wives. It also gave me the chance to pull off a nice little coup de theatre which had the effect I wanted to achieve. Although Kelly and Carlos were in the auditorium, I had the host announce that we were going over to the International Space Station. Which got a reaction from half the audience. Then when astronaut Kate Rubins said "Hello Amsterdam" the rest joined in. Most satisfying. This year's International Honour for Excellence went to movie director Ang Lee. He seems to be able to turn his hand to more or less anything with a strong story: the compilation reel I put together for the show included clips from Sense and Sensibility, Crouching Iiger Hidden Dragon, Brokeback Mountain and Life of Pi. He also proved to be a charming and funny man. In his acceptance speech he made much self-deprecating mirth about his technophobia, including a story about how he has never owned a computer; how his people persuaded him to buy a first generation iPad and eventually to send an email (happy Valentine to his wife); and how he still uses that first generation iPad. Despite the technophobia, he collects around him some extremely bright technical people, which allow him to do the things he wants to do. He had always worked on film, for instance, until he was given the chance to realise Yann Martel's fantasy novel Life of Pi. Clearly a story in which the protagonist spends a large period of time on a small boat with a Bengal tiger was going to require some heavy-duty effects. Lee also felt that the story would work best in 3D, and indeed it was the first 3D production to win the best picture Oscar. So all in all, he was persuaded to work with digital acquisition and post. The morning after the awards ceremony Ang Lee gave a keynote presentation as part of the IBC Conference, and it was absolutely fascinating. Pretty much the first thing he said was that he really struggled with the 3D shoot. "Why is the picture so flickery?" he asked. "Is there something wrong? Why is it strobing?" Despite having lived with 24 frame film for his entire career, he felt that in the digital era, and certainly in 3D, the frame rate was too slow. So for his new movie, Billy Lynn's Long Halftime Walk, he wanted to push the technology right to the limit. He shot it at 120 frames a second, in high dynamic range 4k. Oh, and 3D, of course. That is quite a challenge. A ten minute full resolution excerpt was shown as part of the keynote conference session. That required a huge effort by Phil White and his IBC technical team, identifying the only projectors and servers capable of meeting the challenge, and commissioning the sort of screen that is normally only seen in small rooms to fill the vastness of the RAI Auditorium. 1000 of the specific - and very expensive - 3D glasses required were flown in, too. If you have grown up with the traditional film look, then Billy Lynn comes as a huge shock. There is absolutely no artifice between you and what is going on, none of the dreamy quality that film brings. You are in the story and in the moment., which can be disturbing as Billy Lynn is a shocking story. Ang Lee revealed that this new reality causes huge practical problems. Part of the sequence we saw had Lynn and his fellow soldiers driving quickly across the Iraqi desert in an armoured car. The level of realism required the production team to lay large stones on the road to get the jeep to bounce around. He said that actors could not use make-up, because the level of detail in the imagery means you can see it. Emotions on the face cannot be faked. 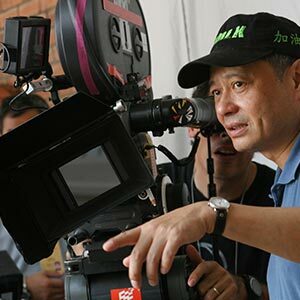 Death and destruction need stunning practical effects - Ang Lee said that he begged to give the actors live rounds in their machine guns but the health and safety people would not give way on that one. What was the result? Well, it looks like no movie you have ever seen in your life. Some, inevitably, criticised it for "looking like video", which is sort of missing the point. What it actually looks like is reality. The question, then, is whether you want to go to your local multiplex and see reality.